Maximum Rate of Fire 580 r.p.m. Notes The model 07/12 was a vintage weapon originally built by Steyr and designed by Schwarzlose. 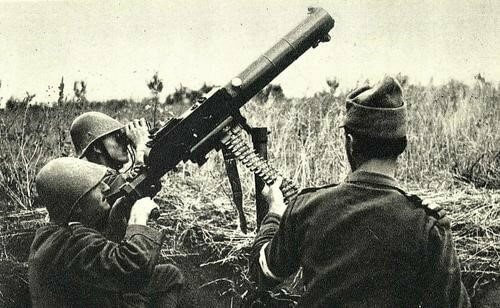 It was the standard heavy machine gun used by the Austro-Hungarian army during world war one and many other nations too. It was still available in large numbers and was used to equip machine gun companies in Romanian infantry regiments.